WiCyS (Women in CyberSecurity) is a community of engagement, encouragement and support for women in cybersecurity. Since 2013, with support from various industry, government and academic partners, WiCyS has become a continuing effort to recruit, retain and advance women in cybersecurity. It brings together women (students/faculty/researchers/professionals) in cybersecurity from academia, research and industry for sharing of knowledge/experience, networking and mentoring. What will happen at WiCyS? Through the WiCyS community and activities we expect to raise awareness about the importance and nature of cybersecurity career. We hope to generate interest among students to consider cybersecurity as a viable and promising career option. 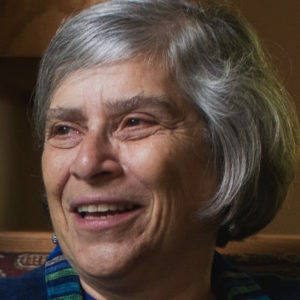 Susan Landau is Bridge Professor in the Fletcher School of Law and Diplomacy and the School of Engineering, Department of Computer Science, Tufts University and Visiting Professor of Computer Science, University College London. Landau works at the intersection of cybersecurity, national security, law, and policy. Landau has been a Senior Staff Privacy Analyst at Google, a Distinguished Engineer at Sun Microsystems, and a faculty member at Worcester Polytechnic Institute, the University of Massachusetts Amherst and Wesleyan University. She is a member of the Cybersecurity Hall of Fame, a fellow of the American Association for the Advancement of Science and of the Association for Computing Machinery. Her new book, “Listening In: Cybersecurity in an Insecure Age,” was published by Yale University Press. What makes us most secure? Is it enabling the police and intelligence agencies to unlock digital devices and listen to communications? Or is it securely protecting devices and communications against intrusions? Two events in 2016 painted this issue in sharp contrast. In February 2016, the FBI tried to compel Apple to open the locked iPhone of a San Bernardino terrorist. Apple refused, citing threats to iPhone security. Eventually the phone was unlocked without Apple’s help; the battle over encryption continued. Then, in October 2016, the US government announced that Russia had interfered with the 2016 presidential campaign, attacking not only the Democratic National Committee and the Clinton campaign, but also research institutions and civil society organizations. Nor was the US the only target of Russian government attacks; the 2016 French presidential election was similarly targeted. What makes us most secure? In this talk, I will discuss our most serious threats and what’s needed to protect against them. Celeste Matarazzo is a data science expert with more than 30 years of service to the Lawrence Livermore National Laboratory. Celeste is the Principal Investigator for a large LLNL funded strategic initiative research project in cyber security situational awareness. As a cyber security researcher, she is working with national laboratory, industrial and academic partners to develop game-changing tools and techniques to enhance security in a networked world. She is also the program manager for LLNL’s Cyber Defenders Summer Intern Program. 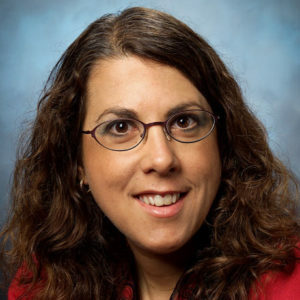 Celeste previously held numerous technical and leadership roles throughout her career at LLNL focusing on the application of data science to address global security issues. Celeste has a B.S. in Mathematics and Computer Science from Adelphi University and pursued her graduate studies at the University of Wisconsin-Madison. She is an avid bicyclist who achieved a long-time goal in 2005 when she completed a 3,850-mile transcontinental bicycle journey from San Francisco to Virginia Beach raising money for Hope Hospice. As all aspects of our lives become increasingly dependent on computing networks and the Internet, cyber security has grown from a localized economic problem to a major national imperative. Situational awareness of computer networks presents many challenges including but not limited to the volume of the data and the dynamic and evolving nature of the problem space. For example, at the perimeter of a corporate enterprise computer network, it is common to see terabytes of network traffic each day, containing millions of unique IP addresses and connection records that number in the hundreds of millions. Celeste will provide an overview and discuss recent trends facing computer security researchers and practitioners. She will describe recent work at Lawrence Livermore National Laboratory to enable analysis of computer networks. Characterizing network-wide activity depends critically on understanding time-varying patterns of system behaviors, such as the actions and connections between components. This approach makes use of state of the art data collection, building and accessing large-scale graph representations, and new capabilities and advances in data science and machine learning. Once WiCyS accommodates all student scholarship and faculty accommodation award recipients, program presenters, sponsoring partners’ delegates, ALL other registrations (except students) will open on January 15 and close on February 15, 2018 OR at capacity (whichever comes first).